There are hundreds of illegal vacation rentals in Honolulu. The city is discussing a new effort to shut them down. Makiki resident Cynthia Fenner likes to relax after work in her Prospect Street home in comfortable clothes, almost a state of undress. But she says that is no longer possible with strangers lugging suitcases, knocking on her door at all hours of the night. They are tourists looking for rooms they have rented in a house on Fenner’s lane, which neighbor RaeAnne Nye has listed on Airbnb. Airbnb is an online site which offers free marketing services to people who want to rent their properties, everything from private rooms to apartments to entire houses, and even castles in Europe and tree houses in Costa Rica. 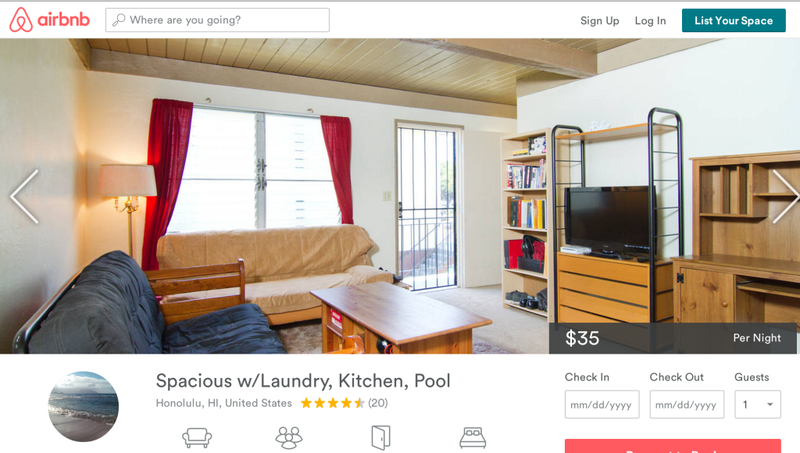 Example of an Airbnb ad for a rental in Honolulu. In the dark of night, Nye’s house is difficult to find. Nye does not own the house but apparently has had no qualms about turning the property into what Fenner calls a mini-hotel. Fenner says the lane is so steep that sometimes taxi drivers refuse to come all the way up to Nye’s house. The tourists get out of the cab on the steep hill and are confused and awaken Fenner to ask for help. “We never know when someone will be coming up the lane. Sometimes when it is late at night and there is a strange man knocking our door, it scares us,” says Fenner. Nye, who is advertising on Airbnb to rent rooms on Prospect Street, seemed reluctant to talk when I called to ask her about her Airbnb room rentals. When I asked her how many rooms she was advertising on Airbnb, she hung up. Nye is one of the hundreds, maybe thousands of people on Oahu illegally renting out rooms, condominiums and houses as short-term vacation rentals. With the popularity of Airbnb and other online vacation rental sites like Vacation Rentals by Owner and HomeAway, the numbers of vacation rentals on Oahu is soaring. Some travelers love the experience of living in a local neighborhood, far from the hustle and bustle of Waikiki. Almost every vacation rental on Oahu is illegal. The proliferation of neighborhood vacation rentals might soon be getting another boost if the Honolulu City Council approves a proposal to allow Ohana units (additional building units) in more Oahu neighborhoods. “That will open the door wide for hundreds more illegal vacation rentals,” says Kailua Neighborhood Board chairman Chuck Prentiss. Almost every vacation rental on Oahu is illegal. Any short-term vacation rental less than 30 days requires that a property owner have a Nonconforming Use Certificate from the city’s Department of Planning and Permitting. Only 780 Oahu property owners have NCU clearance to rent their properties as Transit Vacation Units — that’s a rental where the owner is not present. And only 38 Oahu homeowners have NCU certificates to run bed and breakfast operations. Bed and breakfasts are rentals in dwellings occupied by an owner. Every other short-term rental on the island is illegal. “This is the most challenging code violation for us to enforce — the land use ordinance provision for vacation rentals,” says Mike Friedel. 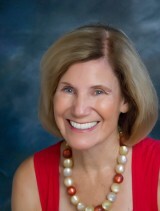 Friedel is chief of Planning and Permitting’s Customer Service Office. He is the point man for investigating all building code and land use ordinance violations. In 1990, the city cut off all new requests for certifications to run transient vacation units and bed and breakfast operations. By deciding to issue no new certificates, policy makers were responding to complaints from Oahu residents who said their once quiet suburban neighborhoods had been taken over by strangers — vacation renters moving in next to them, throwing loud parties and commandeering all the street parking. Some also decry the increasing numbers of short-term vacation rentals, saying it is more difficult now for local residents to find much needed long-term rentals. Visitors usually don’t realize they are staying in illegal vacation rentals. Even President Barack Obama found out only after he returned to Washington, D.C., that the Kailua beachfront mansion he rented for Christmas visits in 2008, 2009 and 2010 was an illegal rental. Friedel says trying to enforce the code that prohibits sort-term vacation rentals is “a cat and mouse game.” He says people advertising on-line usually leave their address off the website, making the address available to renters only after they book their reservations. When a neighbor of a violator calls the city to complain with the address of a suspected illegal rental, the city sends an inspector to investigate. But when the inspector arrives, Friedel says it is difficult to determine the truth because many rental owners coach their short-term tenants to lie. He says the vacation renters will pretend to be long-term renters or non-paying house guests or relatives of the owner. Beleaguered neighbors wonder why the city doesn’t use the online advertising sites as proof to cite violators. Art Challacombe, the deputy director of the Department of Planning and Permitting, confirmed in an email statement that the department does not use Airbnb or any other website or advertisement as a basis for citing a property owner. And the proof is the difficult part. The only way advertising can be used now is as supporting evidence of illegal use. When a property owner is cited for the first time, he or she has 30 days to shut down the illegal vacation rental operation. If the owner refuses, the fine can be up to $1,000 a day. This year, the city investigated 38 bed and breakfast operations after neighbors complained but it had enough evidence to cite only one of them. That B and B agreed to stop doing business. Twenty-four Transit Vacation Units (units where the owner is not present) were ordered to stop and civil fines were imposed. One owner was fined $100,000 but he is appealing and has paid nothing to date. Friedel admits they have cited only a fraction of the violators. Friedel says his department is discussing a proposed amendment to the current law that would make it easier to shut down illegal units. One of the provisions in the proposal will be to allow the Planning and Permitting Department to issue citations to illegal vacation renters based on a preponderance of evidence. Also, the amendment would allow the city to cite a property owner when the owner advertises a non-permitted vacation rental on a website or in any other media. He says the amendment would raise the fine for vacation rental violators to up to $10,000 a day. Friedel says when the fine is not high enough, violators just brush off the fine as the cost of doing business. But sometimes there is no need to come down on landowners with a heavy legal hammer. Some of them want to do the right thing and correct violations before they ever come to the attention of the city. Honolulu land developer Bill Duechar is the owner of the house on Prospect Street in which his tenant has been illegally renting out rooms on Airbnb. Duechar told me he didn’t know about the illegal vacation rentals until Fenner called him to complain. He said now he will ask Nye and her roommate to stop.